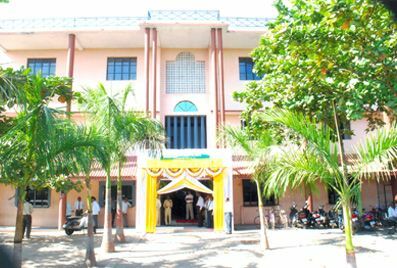 Santaji Mahavidyalaya, run by shri santaji shikshan vikas sanstha was founded in June, 1971 with the help of grant of Govt. and was included in the list of University Grants Commission under 2F in Jan. 1997. The college has been accredited and accessed by the National Assesment and Accreditation Council, Banglore. The college has been awarded “B” Grade by NAAC. At junior college level there are Arts, Commerce, Science and Computer Application and Management streams. There are various courses in computer Science and Management Department like P.G.D.C.C.A. etc. There are two Post Graduate departments. The Progress of this institute has been due to untiring efforts and guidance of the Ex-President Late Shri Govindrao Wanjari. Over the years, Santaji Mahavidyalya has been growing from strength to strength by the addition of new courses, thoughtful expansion of the campus, increase in the teaching faculty, timely enhancement and enrichment of the faculty and addition of newer instruments / equipment and facilities to the departments of the institution under the youthful and able guidance of Shri Dinesh G. Wanajri, President, Shri Santaji Shikshan Vikas Sanstha. Santaji Mahavidyalaya was awarded Best NSS Unit Award at the state level for remarkable work in the field of N.S.S by the Higher and Technical Education Ministry, Govt. of Maharashtra in the year 1997.